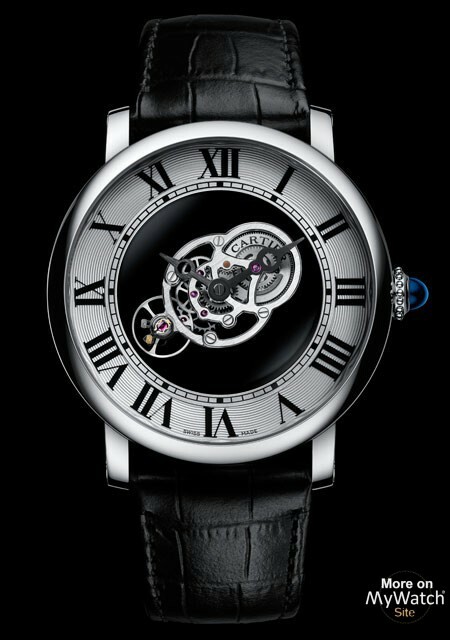 Price request for Rotonde de Cartier AstromystérieuxRef. Fine Watchmaking and High Jewellery: the confluence of Cartier’s two founding fields will be the highlight of the 2016 edition of the Salon International de la Haute Horlogerie. A unique creative partnership has thus been initiated between High Jewellery, with all the flamboyance of its gemstones, the power of its style and the expertise of its craft, and Fine Watchmaking, with its attention to detail and its emblematic watches and complications. 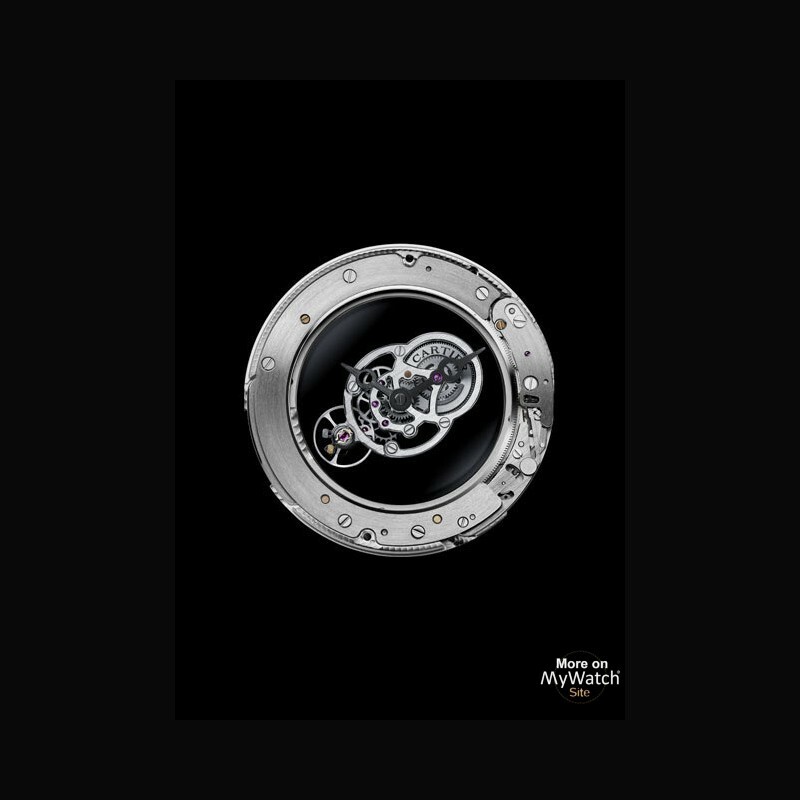 Master watchmakers and master jewellers, facing the same constraints and driven by the same ambitions, merge their skills to create five extraordinary jewellery watches on the boundaries of both worlds. The panther tries its hand at the complication game, with two watches that transpose Cartier’s supreme expertise into a narrative register. Enamel granulation, the latest addition to the collection of Cartier artistic crafts, introduces a rich diversity of chromatic range to the Maison’s iconic feline. Five Fine Watchmaking signature watches illustrate the creative dynamism of the 2016 Salon, hoisting the twin banners of technical prowess and aesthetic progress to new heights. 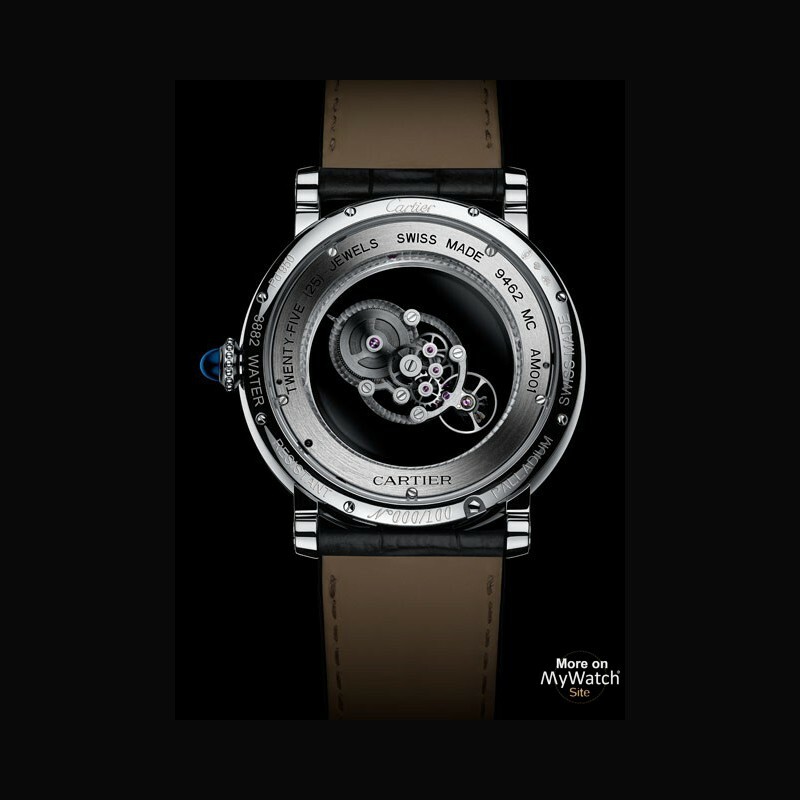 Finally, since experimenting with shape has always been at the heart of Cartier watchmaking, the Maison has decided to unveil the new Hypnose and Drive de Cartier watches at the Salon. With a focus on thirteen distinctive creations and two new collections, traditional definitions have been shaken up in the celebration of a new multi-faceted expertise that combines High Jewellery and Fine Watchmaking. The mysterious has extended its magic beyond the limits of imagination, blurring previously finite boundaries in an exploration of new creative territories. 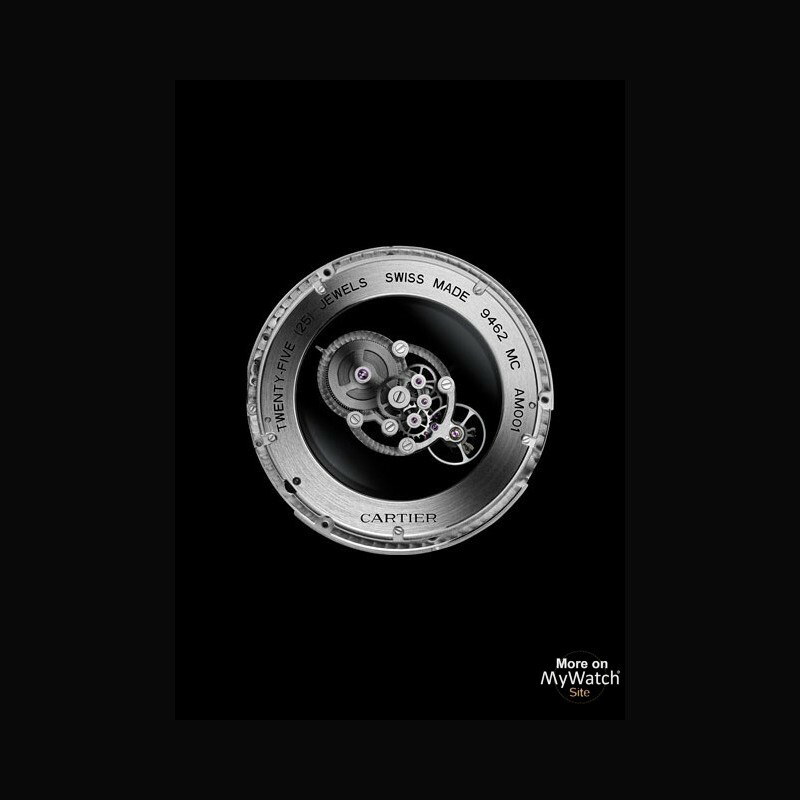 The force of Cartier’s watchmaking expertise can be measured by the depth of the emotion it inspires. The force of ambition and the spur of growth and expansion are the driving characteristics of Cartier Fine Watchmaking, which have led to the creation of forty-five movements in under ten years. The challenge was taken on in record time and bears unlimited prospects for the future. Today, this dynamism finds its strongest expression through the release of signature watches that shine with the outstanding character of Fine Watchmaking. Astromystérieux, Skeleton, Crash, Rotonde Earth and Moon... These are terms that immediately identify a common denominator: Cartier, with all its history and its knack for matching an era with a style, the past and present with the future, daring with discipline, solid with void, earth with moon, technique with emotion. Cartier has been playing with the concept of mystery for over a hundred years... It all began with the famous mystery clocks, so called because their platinum and diamond-set hands seem to float in the transparent body of the clock, without any apparent link to the movement. These “miracles of watchmaking”, as they were called by La Gazette du Bon Ton in 1925, were the fruit of the collaboration between Louis Cartier and an exceptional clockmaker, Maurice Couet (1885-1963), who became an exclusive supplier to Cartier in 1911. The first mystery clock, dubbed Model A, left the workshops in 1912. Maurice Couet took his inspiration from the clocks of the famous illusionist and father of modern magic, Jean-Eugène Robert-Houdin (1805-1871). The principle, which he adapted and developed, is based on an ingenious concept: the hands are not directly linked to the movement, but are attached to two crystal discs fitted with serrated metal edges. Activated by the movement, which is usually housed in the clock’s base, these discs then turn the hands, one for the minutes and the other for the hours. Today, Cartier has modernised and reinvented this heritage by creating new watches that take the “mastery of mystery” to new heights. Following the first Mysterious Hour and Mysterious Double Tourbillon models, the Astromystérieux achieves a new feat by combining the central rotation of an escapement with the axis of the watch’s hands. It thus opens a new chapter in the mystery watches by Cartier. It is all a matter of structure, that of a movement shrouded in an aura of mystery and appearing as though floating entirely free of gravity. This watchmaking prowess is even more spectacular in that the space dedicated to the movement’s non-visible gearings has been reduced to the strict minimum. The architecture of the 9462 MC calibre is every bit as ethereal in the organisation of its central axis, comprising the escapement, balance-wheel, gear train and barrel. Its elongated shape representing the minutes hand enables it to complete a full turn of the dial in one hour. Thus amplified, the visible trajectory of the movement resembles the path of a heavenly body orbiting in space, like a star suspended in the void, with no apparent connection with the rest of the mechanism. 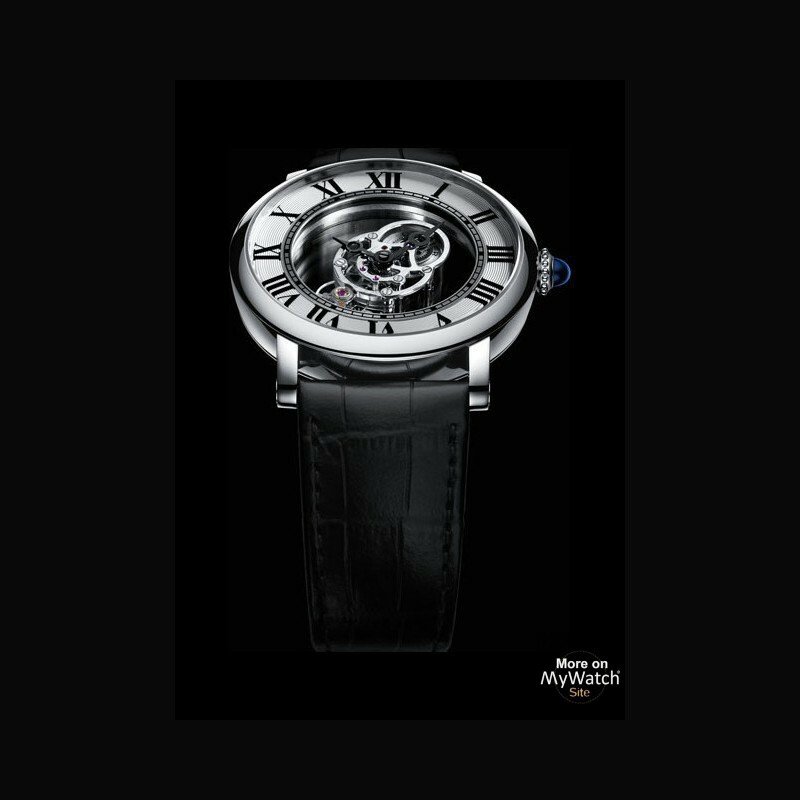 This watchmaking tour de force is obtained through the juxtaposition of the movement’s components, assembled around four sapphire discs that animate the whole. From the very first glance, the Astromystérieux begs the question: Is this a new style of tourbillon? How is its barrel wound, given that it turns at the same time as the escapement, and has no apparent connection with the crown? How can the time be set? Both static and mobile, visible and invisible, the Astromystérieux defies accepted tenets and required Cartier’s master watchmakers to develop unprecedented and innovative solutions for which several patents have been registered. 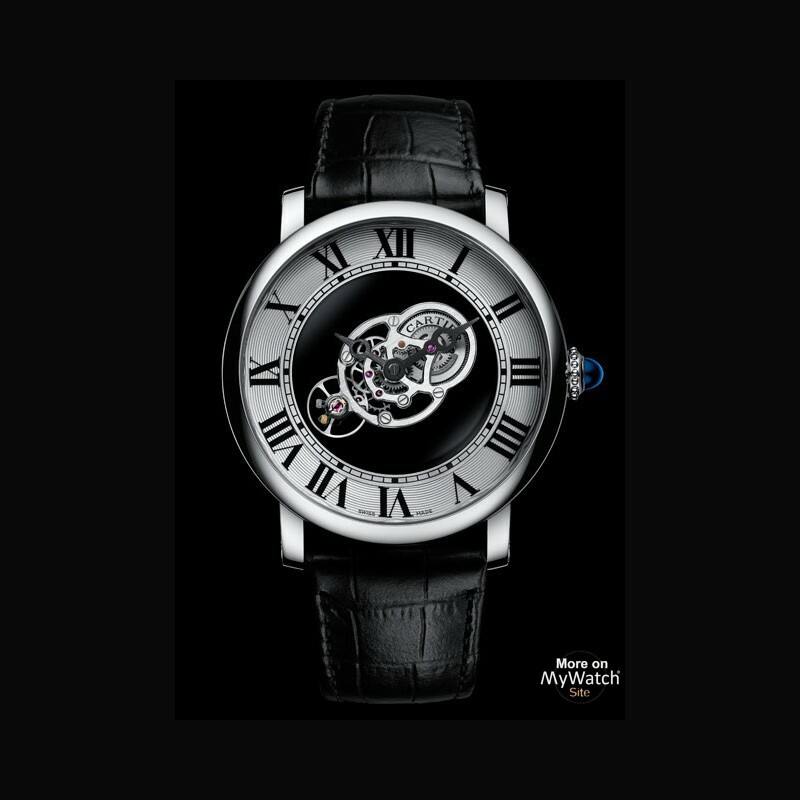 As in the case of a conventional tourbillon, the Astromystérieux relies on a revolving cage, whose motion is driven by a fixed wheel connected to the barrel. Unlike a conventional tourbillon, the Astromystérieux is distinguished by the central rotation of its mysterious flying cage over a period of one hour, enclosing not only the escapement and balance-wheel, but also the gear train and barrel. This cage is made up of a lower bridge in the form of a sapphire disc with a large diameter, together with two upper bridges, one of which holds the balance-wheel and the other the escapement, the gear train and the barrel. It is this rotating cage that indicates the minutes, thus dictating its rhythm of rotation. Thus with the Astromystérieux watch, Cartier once again proposes a ground-breaking and ingenious new interpretation of the tourbillon. The story of the Astromystérieux watch, however, is only just unfolding. The juxtaposition of three additional sapphire discs completes the design of this exceptional timepiece. 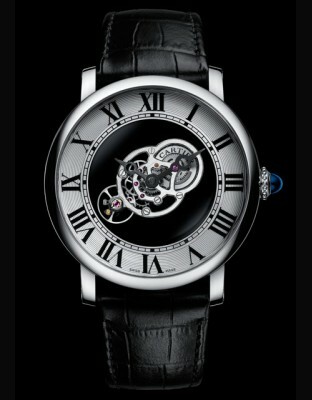 The hours disc is linked to the tourbillon disc so as to complete the time display. The large diameter of these two discs required the development of a special kind of gear train. In order to protect these components, a new shock-absorption system attached to the rotating cage was designed, thus protecting against external impacts while the watch is being worn. A patent has been registered for the winding method of the Astromystérieux, based on the use of a sapphire disc in conjunction with the crown. Under this complex and unique system, the crown is only linked to the barrel when it is being wound. This ground-breaking concept was made possible by the development of a floating pinion between the crown’s winding shaft and the winding disc. When the crown is turned to wind the mechanism, the pinion takes up a position in which it forms a connection with the winding disc. When the crown is not being used, the pinion breaks this connection by a natural process of disengagement. The winding of the Astromystérieux is also the object of a protective system that is unprecedented for a manual movement. A disconnectable system has been developed so that the crown’s winding shaft and the barrel cannot be broken in the event of excessive winding. Finally the lower disc, situated at the base of the movement, takes on a dual role. It provides the motion required to make the tourbillon cage turn when the watch is running normally, and, when the crown is pulled out, it engages the time-setting system, for which a patent has been registered. All of the above is made possible by the development of a revolutionary lever that is also the subject of a patent application. This lever blocks the sapphire disc during the normal running of the watch. Held in a static position, it drives the tourbillon cage through the motor force of the escapement. When the crown is pulled out to the time-setting position, the lever frees the lower sapphire disc, thus also freeing the rotating tourbillon cage on which the minutes wheel is mounted and so allowing the time to be adjusted. Available in a 950/1000 palladium case with a 43.5 mm diameter, the Rotonde de Cartier Astromystérieux watch and its 9462 MC calibre movement have reinvented the “mastery of mystery” at Cartier. With this watch, Cartier takes even further the magic of the mysterious movement, one of the most emblematic signatures of its Fine Watchmaking collection since 1912.